Full Motion wall bracket that mounts on a single stud. Great solution for 2nd TV or main TV that needs maximum flexibility and viewing angles. Ability to quickly adjust angle and position without tools. For TVs with a maximum weight of 75lbs. Full Motion wall bracket that easily mounts on a single stud. Great solution for 2nd TV or main TV that needs maximum flexibility and viewing angles. Ability to quickly adjust angle and position without tools. Made of high quality steel for ultimate rigidity. 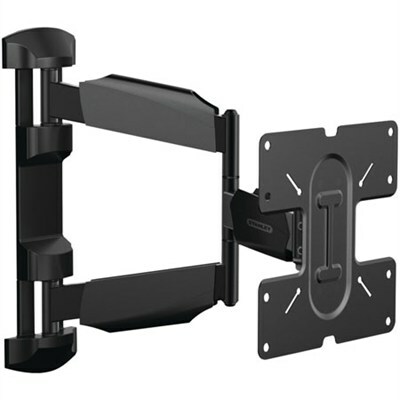 Full Motion TV Mount for Medium Screens. Weight capable up to 75 lbs.